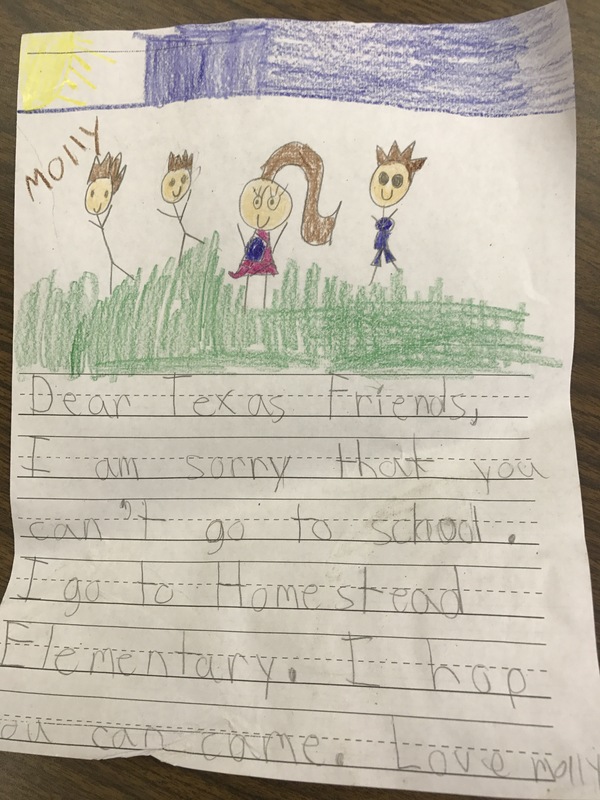 A love letter from Molly to all of us here in Texas. We found this in one of the many boxes of supplies we have received from all over the U.S. This entry was posted on September 11, 2017 at 10:17 am and is filed under Wesley United Methodist Church. You can follow any responses to this entry through the RSS 2.0 feed. You can leave a response, or trackback from your own site.